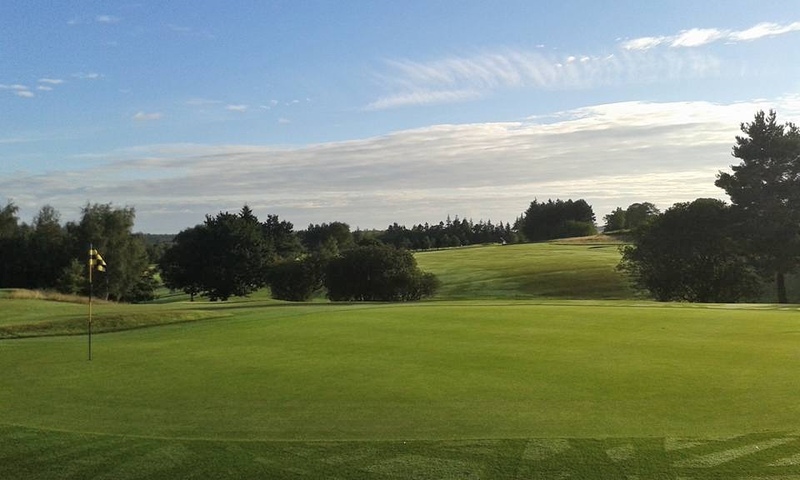 Gifford Golf Club is noted for its quality and layout, a layout that rewards thought and accuracy when approaching the greens that blend with the natural contours of the land. The course was laid out in 1904 and it has benefitted from the remarkable fact that during its first 100 years the club had only four head greenkeepers, indicative of their love for the course, continuity of maintenance and steady evolution. Today, we can enjoy a pleasant mix of trees and parkland with the Lammermuir Hills as a scenic back-drop. Our clubhouse is small and comfortable, ideally suited to a 9 hole course, and the staff provide light snacks and drinks or, by prior appointment, meals that are cooked on the premises for visiting parties. Visitors and visiting societies are welcome, please use the following pages or call us on 01620 810591 to arrange your tee times. New members are welcome. We have strong Mens, Ladies, Junior and Senior sections and new members will find a complete programme of competitions. On the 4th March 1905, Jack Yellowlees was the first winner of the Cranston Medal, with a gross 107, net 82. This solid silver medal is still played for today. In 2005, Gifford Golf Club was contacted by Evan Thompson of Kaiapoi Golf Club, New Zealand, who was researching records for their centenary book. He was seeking information about “Jock Yellowlees” who had emigrated from Gifford to New Zealand in 1905. One of Jack’s first enterprises on arriving in Christchurch was the establishment of a golf course and hence becoming one of the founding members of Kaiapoi Golf Club. Kaiapoi Golf Club is referred to today as “The jewel of the North Canterbury Region” and it celebrated its own centenary in 2007. It’s a long way to go for a game of golf, but there is a reciprocal arrangement whereby members can play each other’s course free-of-charge and a very warm welcome is guaranteed.